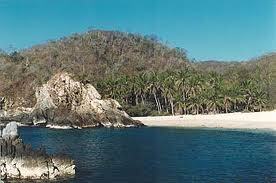 5 minutes East of the Viewpoint condo and Playa Estacahuite is the quiet and secluded beach of La Mina. La Mina is perfect for an enjoyable day with family & friends where you will relax on the fine-grained white sandy beach and soak up the sun. The waters are calm in this small bay making it perfect for swimming and snorkeling. 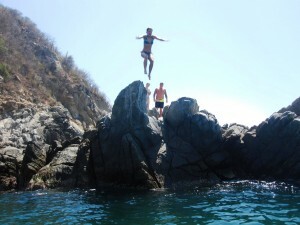 It is recommend to pack a lunch and refreshments for a day at La Mina as there is no tourist infrastructure. 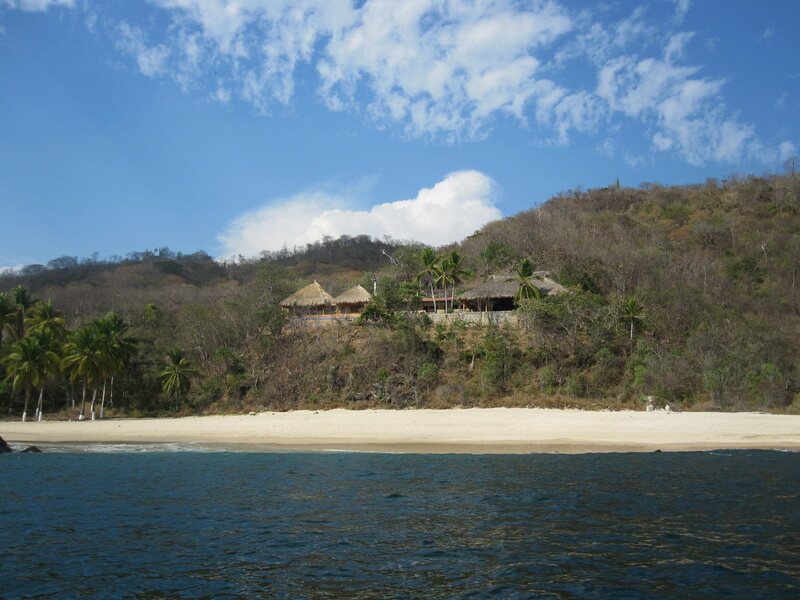 Another great option to visit La Mina is to take a boat tour from Playa Panteon where you can arrive to the beach from the water. For the thrill seekers, there is a great rock formation as you arrive to the beach where you can take a jump into the warm aquamarine waters. 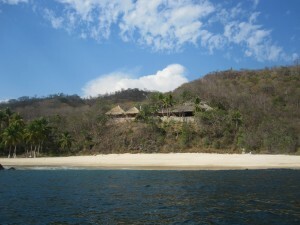 Enjoy another beautiful day in paradise at La Mina – just another great beach along the Oaxaca coast.